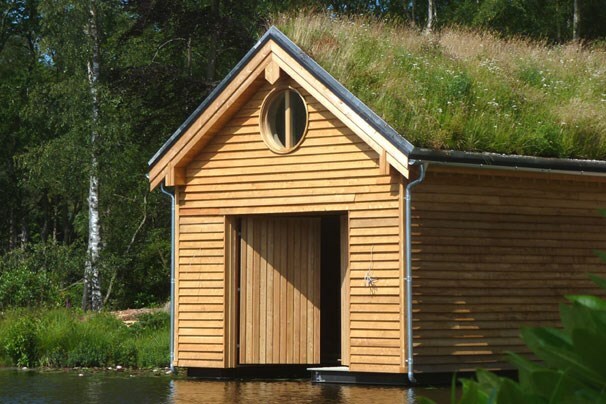 The green roof project "Boathouse at Avon Tyrell" has been nominated for the UK Roofing Awards 2015 in the category Sustainable Roofs. The project, designed by HPW Architecture is a zero energy boathouse for the centre, which will provide owners UK Youth with a structure capable of generating its own income from the energy it produces. Our customer Organic Roofs from Brighton was responsible for the installation of the HERTALAN EPDM roofing system and the green, vegetated roof. The winners will be announced on Friday 15th May at the UK Roofing Awards Luncheon at the Hilton London Metropole on Edgware Road. This year's host is BBC's Louise Minchin. Places can be booked from January 2015.